The Mid-Autumn Festival is approaching. First of all, I would like to extend my festival greetings to all friends at home and abroad. 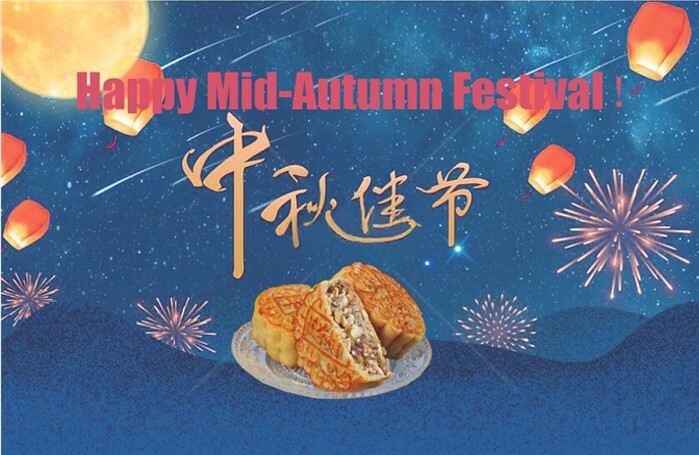 In order to enjoy a happy, peaceful and safe festival, the holidays of the Mid-Autumn Festival in 2018 are from September 22 to September 24 three days. Tuesday (September 25th) goes to work normally. First, departments should conscientiously implement the company's contingency plan, do a good job in the company's fire prevention, safety,In defense work, it is necessary to report to the company office on duty promptly. Two, All employees keep their mobile phones on during the Dragon Boat Festival to ensure that they can keep in touch at any time and travel safely. Three, During the holidays, the company has a special person on duty, customers who need products can still send inquiries normally, the company will reply to your inquiry within 8 hours. Finally, I wish you all a happy holiday!